“Children should be seen and not heard”. The general belief seemed to be then, and sadly so often is now, that to listen to children and respect their wishes would somehow “spoil’ them. I certainly wasn’t spoilt. I was damaged instead. (http://chrisgoodeandcompany.co.uk/) on developing a new theatre piece on what it means to be trans*. My experience as a child seems to be the best place to start; it’s certainly no use looking for any kind of tradition because there isn’t one. 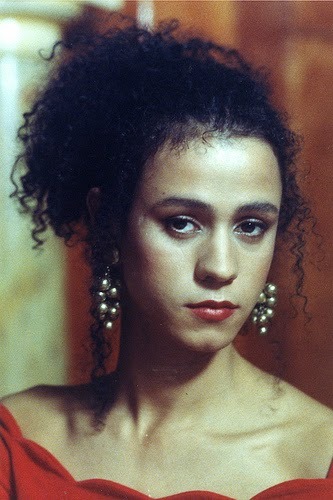 One of the things the week has forcibly reminded me is that it wasn’t until i was in my forties (1992, to be precise) that “The Crying Game” was released that I saw a dramatic portrayal of a trans person as a sympathetic human being and not as a monster or a grotesque. It reminded me once again that up till middle age, quite apart from the universally hostile prejudice, I’d had to somehow form myself in the almost total absence of good and accurate information. No wonder it was hard. I got haunted last week by an old school photograph. 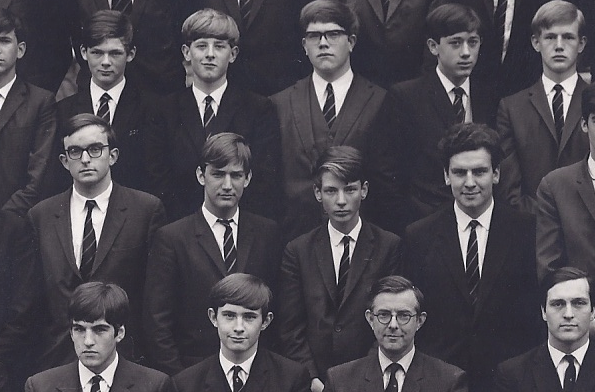 Wiseman’s House, Clifton College, maybe 1966. It was a vile institution in those days. Bullying was built into the brickwork. By then I knew I wanted to be a girl; knew, too, that if that was revealed my life would quickly be made unbearable. My mother was dead. I was estranged from my father. My brothers were ten years older. There was no help available. No help of any kind. I felt completely alone. In the past I’ve always focussed on the suffering in the picture. The emaciation (I would never eat); the bent shoulders; the air of unbearable tension and strain. Chris helped me see this differently. “You’re the only one”, he said, “the only one who knows where they’re going and knows how to be in this world”. And it’s true. “See how you’re looking at the camera”, he said. “Look at the incredible intensity of your gaze”. And I did. And it’s as if I saw myself for the very first time. And saw myself as more than a victim of extreme bullying and emotional abuse: but as a survivor. And more than a survivor. As a young transwoman lacking even the words to describe herself (words like ‘transgender’ were not then in current use) who knew that in order to survive I had to go deep underground. A brave young transwoman who couldn’t even conceive the freedoms she would come to enjoy but who could wish for one thing, with every fibre of her being: to become a writer. I was afraid of telling anyone that wish. And at that time, my instincts and desire to be a performer had been silenced. That’s why it took me twenty years to find my way back into the theatre and find my voice as a writer; and, to begin to find myself as a performer, another twenty years after that. I couldn’t have wished for a better week. As anyone who’s seen his work will know, Chris Goode is one of the bravest and best theatre makers around. A totally wonderful collaborator. A real joy to work with. And all this happening while back home in Edinburgh, my monologue was one of those being performed as part of the acclaimed NTS “Dear Scotland...” project in the National Portrait gallery. And while other performance slots were falling into place - at Rally & Broad (Counting House 23rd May), the Sunday Assembly (Summerhall 25th May) and Jo Caulfield’s Speakeasy (Scottish Storytelling Centre 10th June). And an amazing creative team is falling into place around me to revive “Jesus Queen Of Heaven” at ArtSpace@St. Marks during the Fringe. 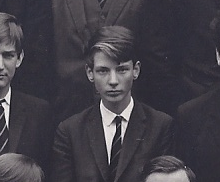 So I look back at my young self in that dark suffering place and feel so very proud. “You made it happen”, I tell her, “You made it happen with the intensity of your wish”. To their credit, the National Theatre of Scotland funded our first week’s exploration. Let’s hope we get the chance to continue. As dear Jesus says: “Ask, and it shall be given you”. And I know that if it’s the right thing wanting often gets.